Studio portrait likely taken in present day Moldova. Esther and her family either on the eve of emigration, or just arrived. Left to right: Esther, Sylvia, David, Goldie, Morris. The two Rosen women are strikingly handsome. Front row left to right: Malkeh, Perel, Malieh (on lap); Solomon. 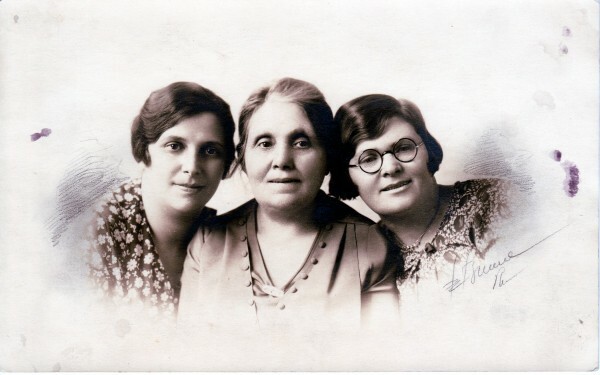 Back row: Esther, Goldeh, Elkeh. Date of the photo is a guess, based on Malieh appearing to be four years old. 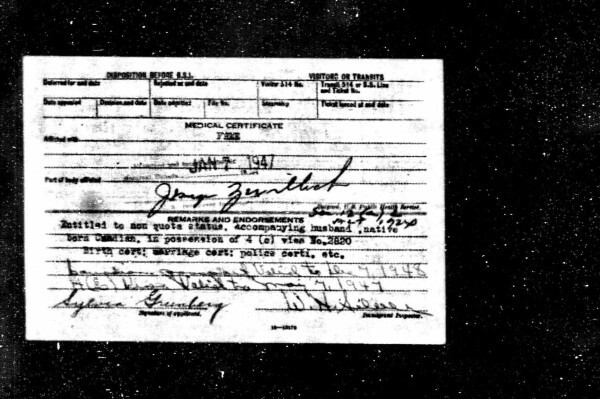 She was born in 1902. It is tempting to think the photo was taken to send to David, who had emigrated to America in June, 1906. Photo is from a studio in Philadelphia. My note identifies the friend as Beryl Rotenberg. Date unknown. Esther emigrated in 1924, to Canada, and later came to the United States. Esther, possibly with Haika and Dorothy. Date unknown. 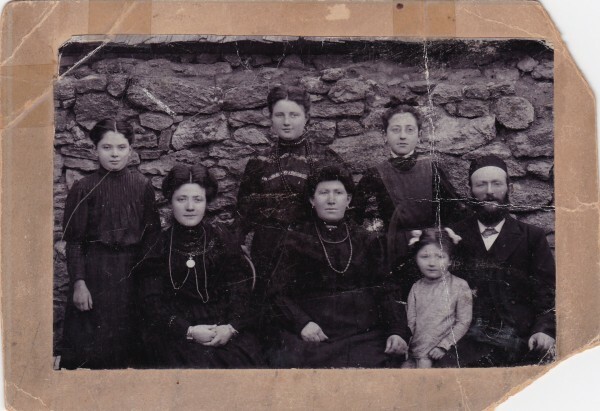 Ellen Greenberg identifies the woman to the far right as a young Esther. She speculates the middle woman could be Haika, and to the left Haika's daughter Dorothy. The filing took place in Marion. 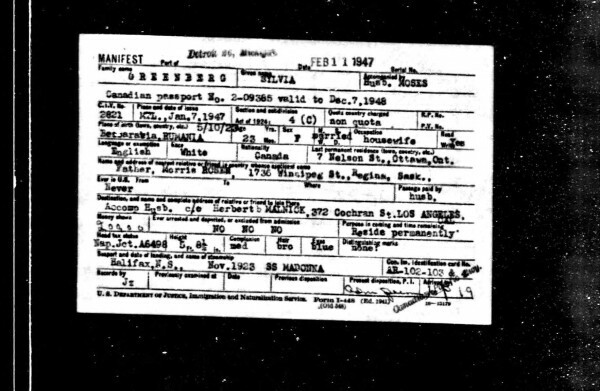 Interesting details include that Sylvia entered in Detroit. She gives her birthplace as "Bessarabia, Roumania." More likely it was Dzygivka, Ukraine, the ancestral shtetl. Location unknown. Sylvia looks to be in her late twenties. Esther and Morris came to Marion from Regina, Saskatchewan probably in 1949. Jeff was born in Marion in 1948. Sylvia inexplicably lists her mother's name as "Rose." She gives her father's name as "Moses." Moe's parents names are given, along with the fact that they were born in Poland. 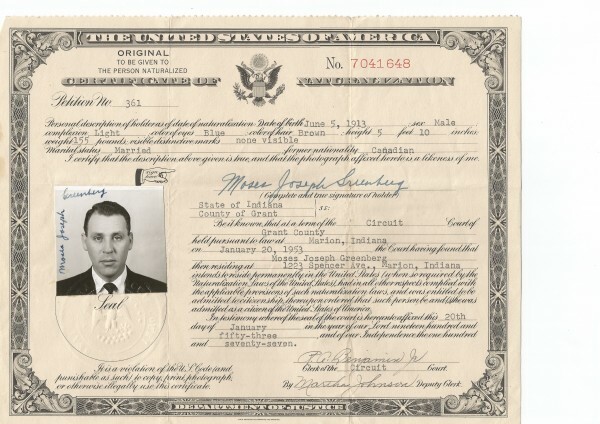 Moe's naturalization document. The couple resided at 1223 Spencer Ave.
Year unknown. 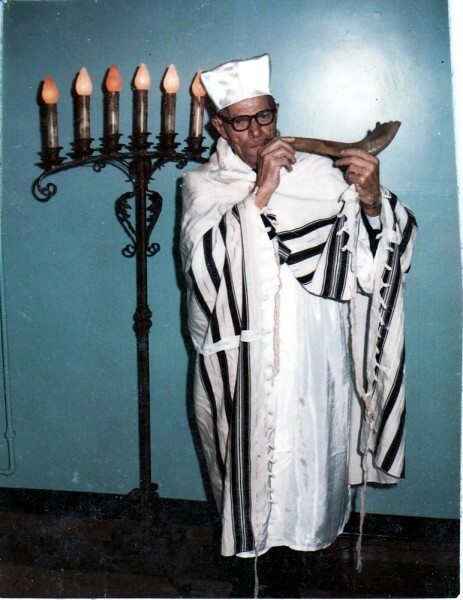 Possibly in Sinai Temple. Marion. The surname is still Perelroisen; it would be shortened to Rosen later. The ancestral town of Dzygivka is named, as is the fact that the couple came over under the auspices of the Jewish Colonization Association. His race is "Hebrew", his religion "Mosaic." Their facial expressions seem to capture their relationship. 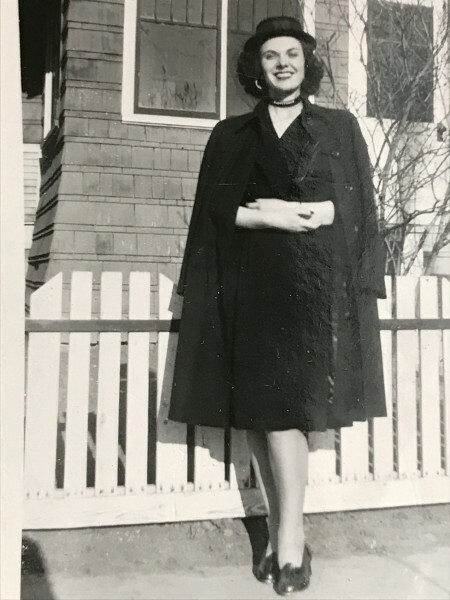 Sylvia Rosen in front of her house, 1736 Winnipeg St., Regina, Saskatchewan, May 1945. She is perhaps 22, and a striking figure. Taken in 1944 or 1945, best guess. She came through Detroit from Canada. Esther and her elder brother David were the only two children of Solomon and Perel to emigrate. 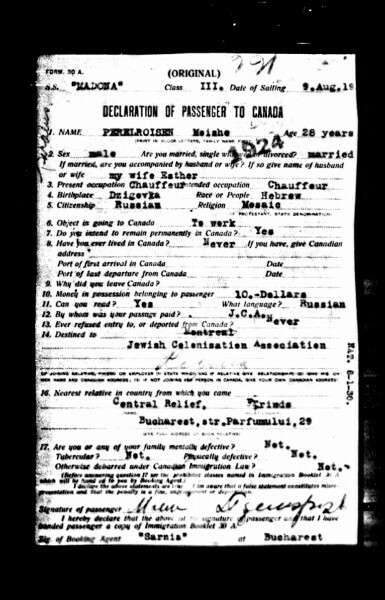 Esther left much later than David, and went first to Canada. 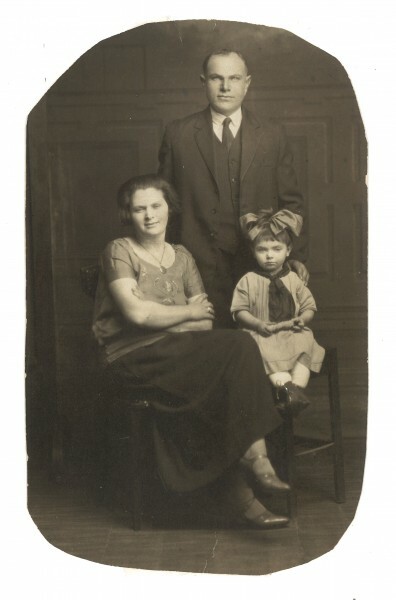 David, born in 1884 (we believe–there is no official documentation), emigrated in 1906. Esther was 12 years younger, born in 1896 (again, no documentation). She and Morris came to Canada in 1924. 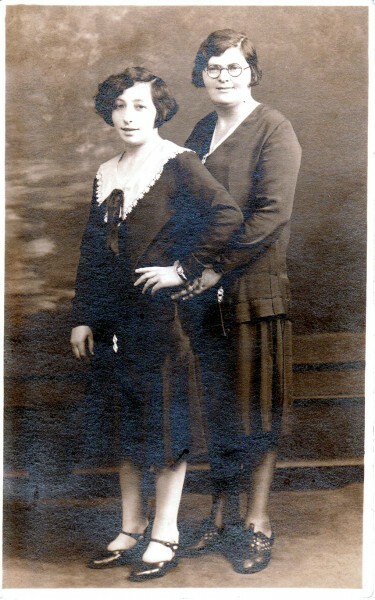 In 1914, Ida Feldman, known to the family as “Tante Haika”, bought a ticket for Esther to come to America. Haika, the sister of Perel, had herself come to America around 1900, settling in Philadelphia. It was she who brought over David. But Esther did not use the ticket. We do not know why. Did she worry she was single, and too young—only 18? Did her parents hope for her to emigrate, but as a headstrong young woman she resisted? Perhaps romance played a role. Esther’s older sister Elkeh married Melech Perelroisen. Esther herself would marry Melech’s brother Moishe, who in Canada would change and shorten his name to Morris Rosen. 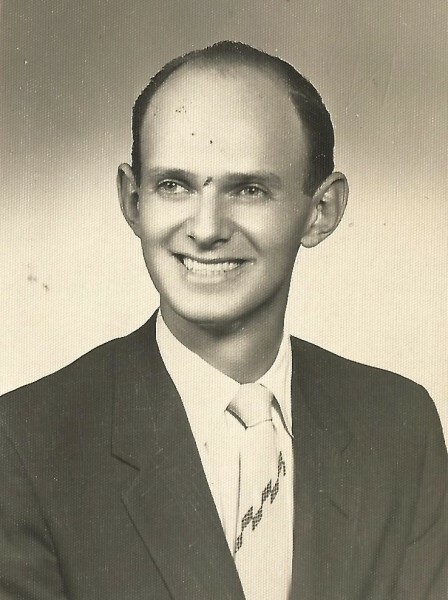 Morris/Moishe in family memory was seeking to avoid serving in the army. Esther found a way to join her brother Joseph, who was living in a part of Romania (today it is in the nation of Moldova) that was severed from Russia after the 1917 Soviet Revolution and the boundary redrawing at the end of World War I. This would have kept Morris away from the authorities. There was a Jewish custom—not law—that brothers who married sisters live in separate cities. This was another reason why Esther and Morris would live with Esther’s brother. 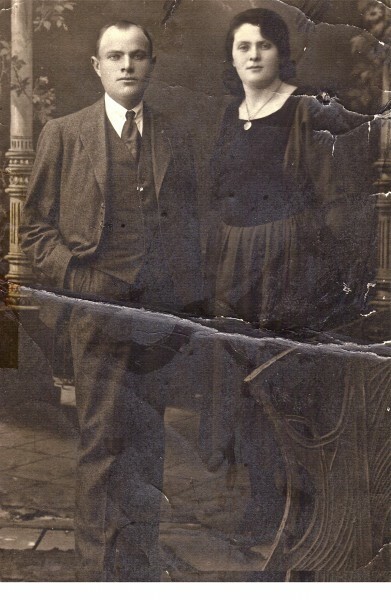 When the Great Socialist Revolution of 1917 took place in our country, my father (and his sister Esther) lived in the town of Beltsy situated in the Moldavian region called Bessarabia (between the rivers Dniester and Prut which belonged to Russia for centuries. Our grandparents and the Balabans lived in Ukraine, beyond the Dniester, in their little native town Dzigovka (Jampol district). 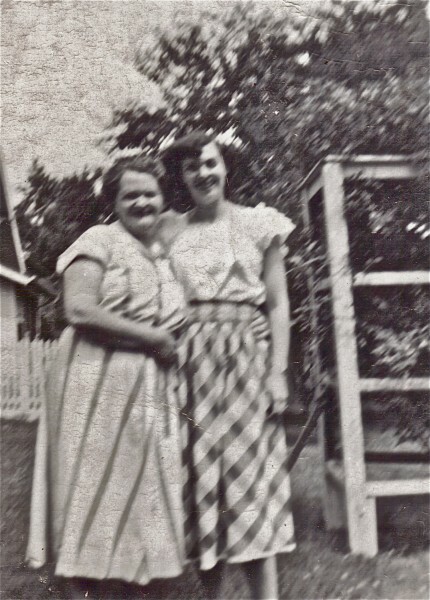 Our aunts Olya (Elkeh) and Manya lived with their families in other towns of Soviet Ukraine. We do not know for certain when Esther went to live with Joseph, nor why she was with him. We do not know when or where she married Morris. Their first child, Sylvia, was born in Romania, her sister Goldie recalled, but she could not recall which place or what year. It could very well have been Beltsy. Amnon’s letters suggest that Esther and Morris came as a couple to live with Joseph. He also calculated Sylvia’s birth year as 1923, whereas in Goldie’s telling it would have been 1921. Memories are imprecise. But Amnon’s warmth was not. I remember you, dear Sylvia, as a child of 3 or 4. I was a youngster of about 13-14 then. Your parents had lived in our house in the town of Beltzy before they left for Canada. We used to call you Tzilya or Tzilyousa in Russian. I recall how one morning I took you to our wineyard which was situated out of town. As it was a tiring walk for you, I put you on my shoulders and sang a children’s rhyme that began with the words “a zackala mail, a sackala mail… (“ a sack of flour” in Yiddish). Arriving there, I gave you some fresh goat’s milk, a boublik, a big bunch of grapes, and you fell asleep in my arms. A few hours after we went home in a cart full of green fresh hay which I mowed down while you were sleeping under a tree. More than half a century has passed since. 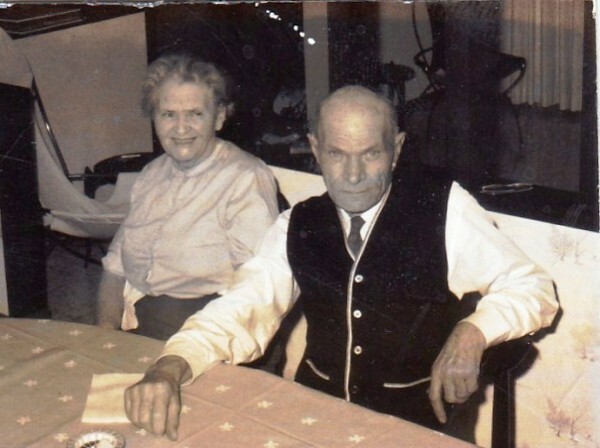 I also remember Aunt Etty [Esther] and Uncle Moishe [Morris] when they were 30 years old. 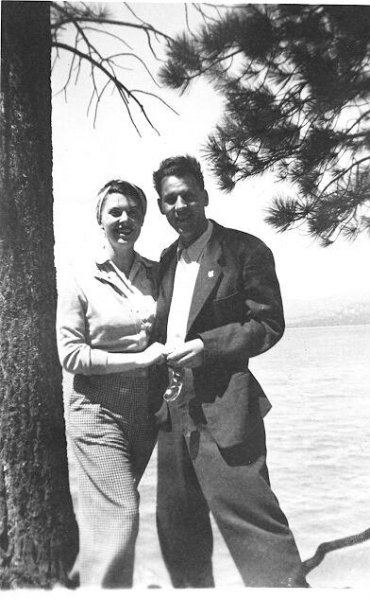 A young, strong and energetic couple, they decided to try their fortune in America. My father received letters from them when they settled in Regina, Sask. (Canada), and afterwards from the USA. In a 1990 letter, Amnon related Esther and Morris’ emigration to the departure of Shimon Balaban for Palestine. Shimon was an early Zionist. Shimon’s family says he came to Palestine from Romania. There is a Rosen family memory that says Shimon helped Esther and Morris “escape”. 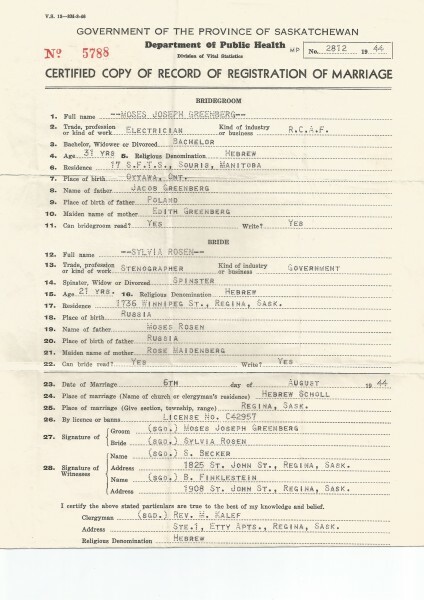 Morris and Esther’s ship arrival record traces their departure to an agency in Bucharest, the capital city. Recall that Beltsy at the time was part of Romania, so internal travel would have been relatively easy. Why did Esther and Morris go to Canada? The short answer is that in 1924 the era of open immigration into the U.S. ended with passage of the Johnson-Reed Act, which imposed tight quotas by country of origin. The aim of the act was to limit immigration from Eastern and Southern Europe, i.e., Jews and Italians. Why did they go to Canadian prairie, to Regina, Saskatchewan? It appears they were sent there by the Jewish Colonization Association, which had been created by Baron Maurice de Hirsch to assist in moving Jewish immigrants away from cities into less populated areas. 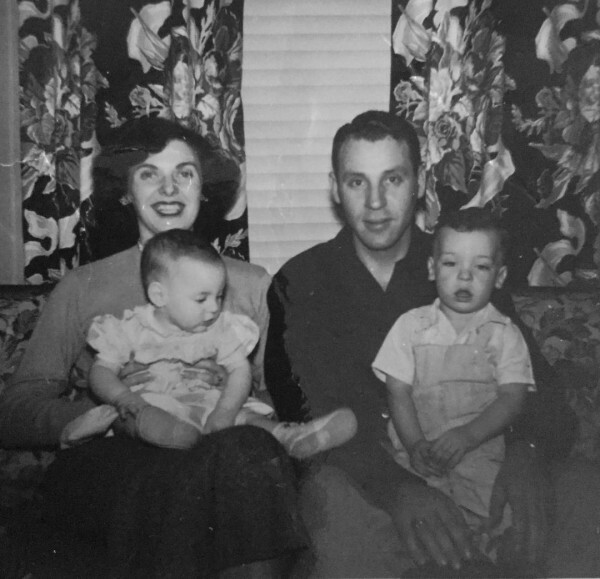 Whatever the circumstances, Esther, Morris and their infant daughter Sylvia came to Regina. Two other children were born there: David in 1926, and Goldie in 1931 (she was named for Esther’s sister Goldeh, who died in childbirth in 1918). In Regina, according to a family memory, Morris served as a religious leader, conducting services. 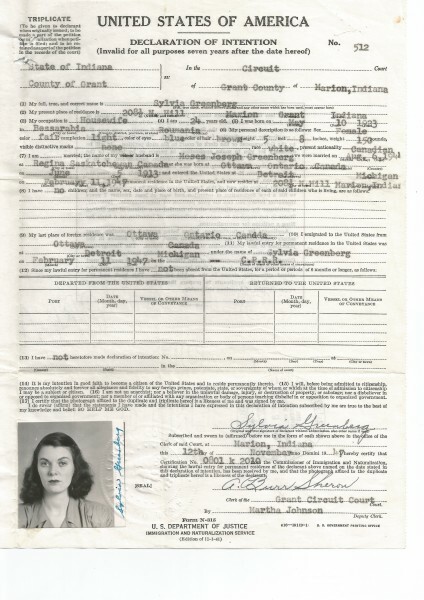 Sylvia married Ottawan Moses “Moe” Greenberg in 1944. 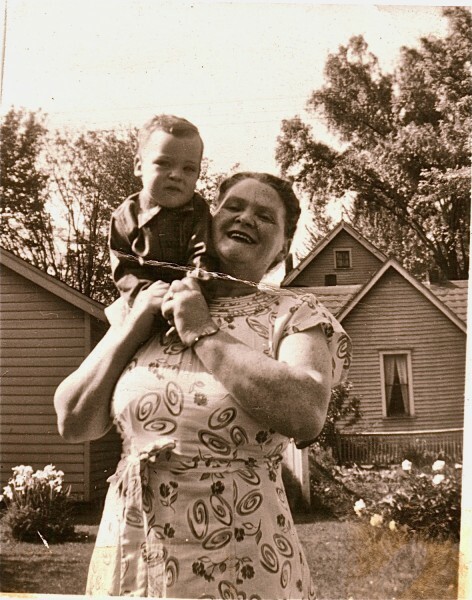 In 1947 they obtained permanent resident status in the U.S. Sylvia’s cousin Milt offered Moe a job at the National China Company, and Sylvia and Moe moved to Marion, Indiana. They first lived with Sylvia’s Uncle David and Rosa before getting an apartment. 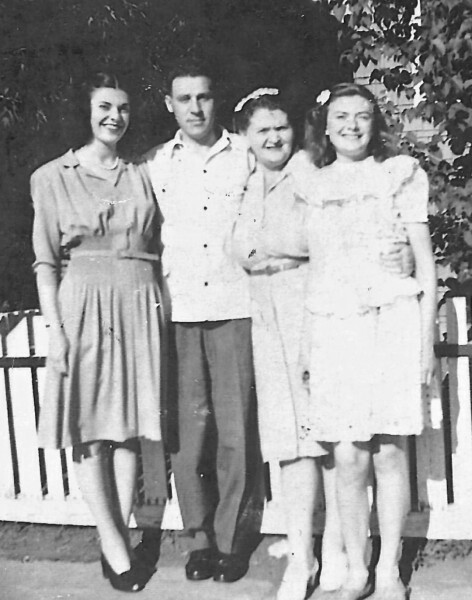 Eventually David along with Sylvia and Moe helped Esther and Morris come to the United States around 1949 or 1950. Sylvia remembered her uncle finding housing for his sister. Esther and Morris had a troubled relationship. Solomon and Perel apparently opposed the marriage. Esther, who had a forceful, direct personality, went ahead anyway, a decision she would regret and about which she would complain bitterly. 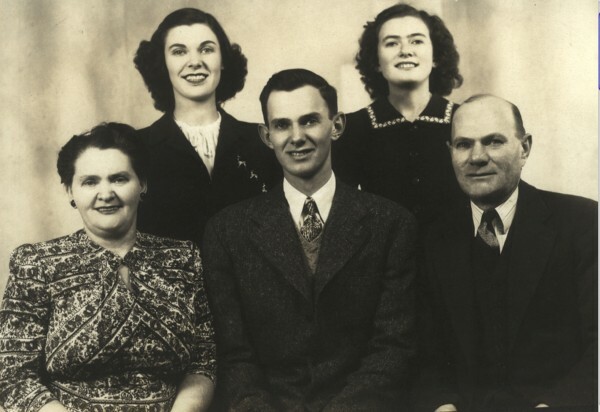 Even while living in Canada, Esther and her children would come to the U.S. in order to put distance between them and Morris. They would often come to Marion, where Esther’s beloved brother was a welcoming and kind presence, but there was friction between Esther and Rosa, David’s wife. Esther’s unhappiness spilled into her relationships. Friends and family were wary of her. They felt nothing was easy for her. Morris would say she was a troublemaker in Russia, but it is not clear if he was referring to her outspoken, domineering personality or to her politics. Morris liked to style himself a “retired actor” from the Yiddish theater, or a “chazan” or cantor who could theatrically lead services. In fact, he never found himself at ease or in a regular job. He was bone-thin, a heavy smoker, a man who never sat down for a meal. He peddled trinkets, cheap plastic toys, fruit and vegetables. He was an inveterate gambler who lost whatever he made, and who was always looking for loans. He was said to have once lost his home in a poker game. Though he wheeled and dealed, he had a sweet, placid personality, never violent or out of control. At home in Marion Esther and Morris always used Yiddish, but often Esther was yelling and Morris was silent. Sometimes I walked to their apartment after school and watch Baba make challah or cinnamon rolls. She gave me dough to play with but didn’t teach me how to bake. I felt their love for us with smiles and hugs. I loved Baba’s smell and her big doughy arms and breasts. She played a game with the thin skin of our hands. Despite their bitter differences, and despite many separations, the couple never divorced. Their children helped take care of them, and additional support was provided by David’s sons Meyer, Milt and Frank Maidenberg. Esther and Morris eventually moved to Chicago, where daughter Goldie lived. Esther suffered a stroke, Morris was at loose ends, but continued to gamble and borrow and spend. Their situation caused anguish and despair within the family. They lived out their days in a Jewish retirement home.